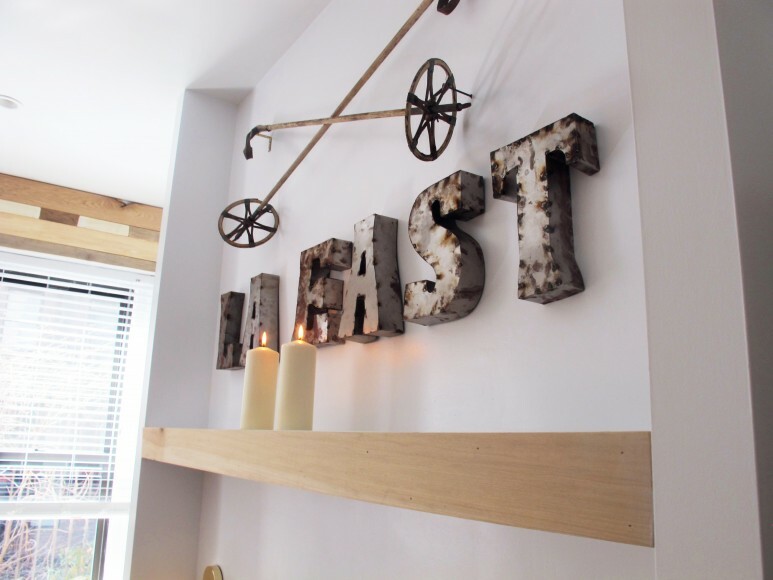 The LA East is one of our smallest and hippest suites. 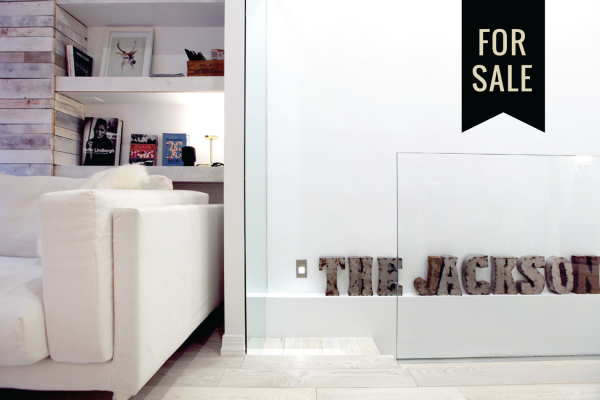 Just a stroll from Union Square and The East Village, it is located across the street from The Jefferson Condo. MS&Co. saw immense potential in the space when it fell upon them in January of 2014. At the time, the studio was in poor shape, needing many renovations. 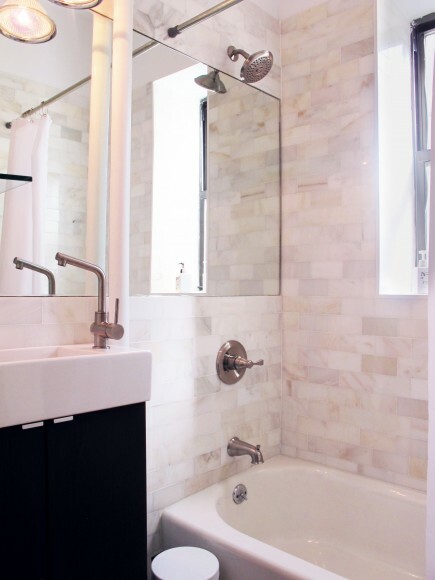 The main architecture was a challenge, as they wanted to transform the existing kitchen into a cozy alcove bedroom. 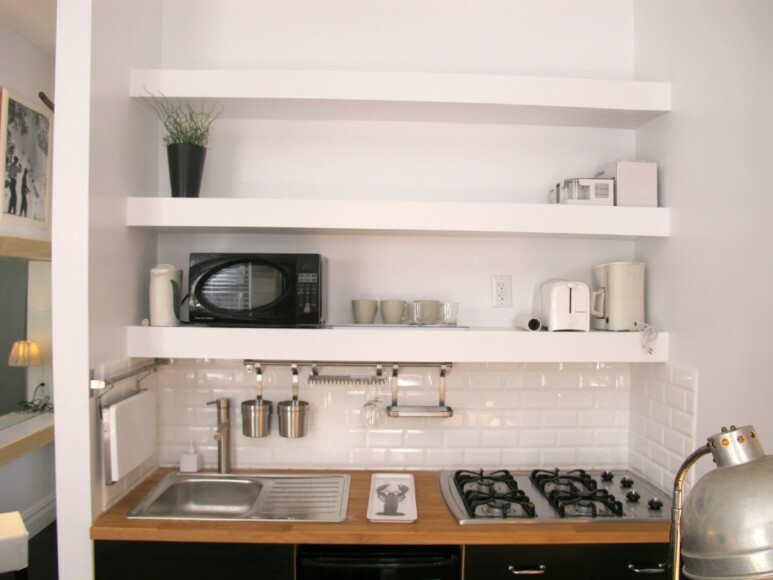 Wall shelvings have been designed proportionally to the small space, creating seamless niches to house various objects. 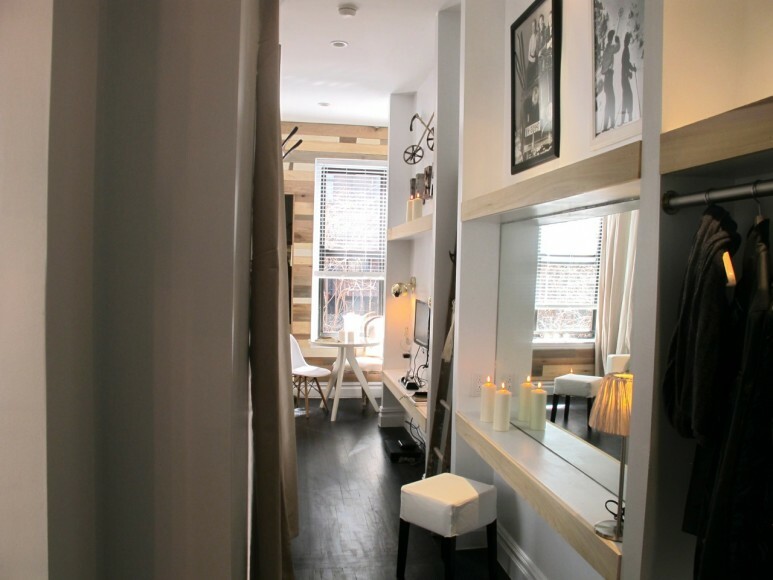 Everything fits like magic, allowing this small space to feel airy and open. 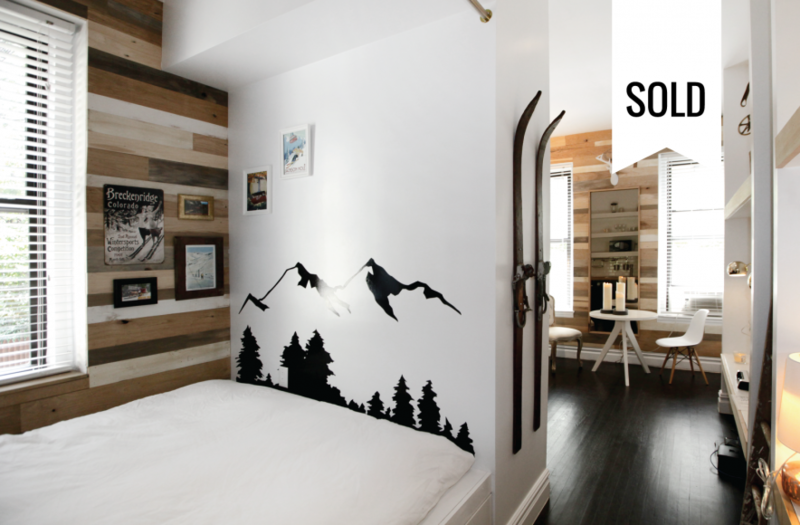 The new design follows a vintage ski theme, made possible with woodwork from Nightwood NY. 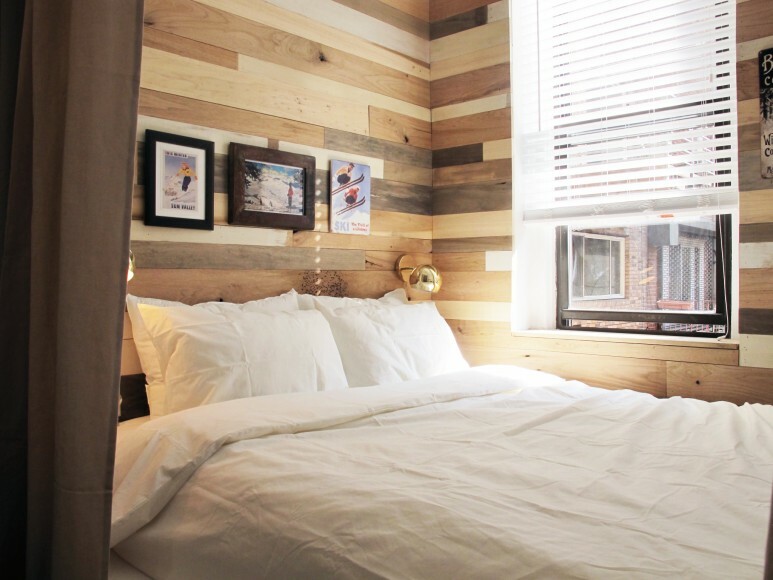 Guests can bundle up in here with warm wood surroundings and a Swiss Chalet-inspired anteroom bed. 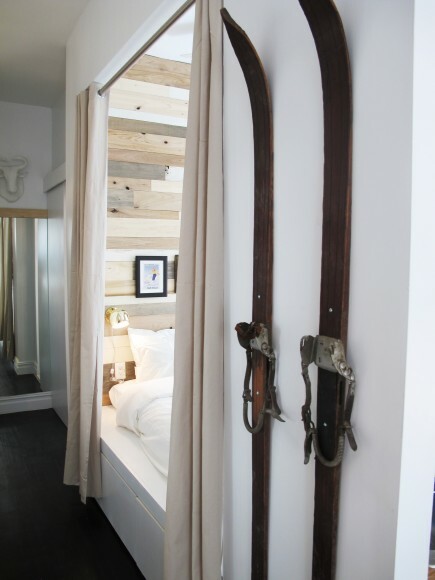 Most of the ski decor and other furnishings were sourced from vintage flea markets in Vermont and Brooklyn. Vintage ski posters and photographs from the ’50s also decorate the suite. 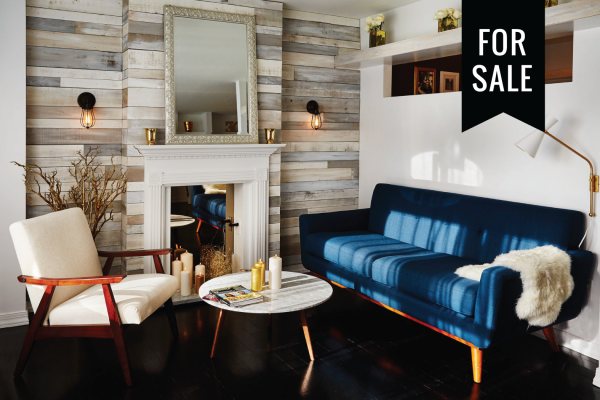 The LA East is comfortably nested in one of the most sought-after corners in New York City’s East Village.